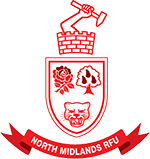 Can I remind you please that if your game is cancelled you should email Mike Fielding (mick.fielding@gmx.com) – the Society’s Club Administration Manager besides bedsides advising the reappointments manager Fraser Colley (Saturday Matches) or Paul Scott (Sunday matches) Damian Hampton (mid week matches). Click here for appointment team contact details. This will ensure that the information on WTR is up to date and correct. 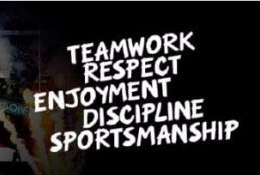 With winter closing in and the potential for games to be cancelled at short notice I thought it prudent to remind you all of your responsibilities according to the ‘Laws of The Game’ and the position the Society will adopt. The surface should be grass but may also be sand, clay, snow or artificial grass. The game may be played on snow, provided the snow and underlying surface are safe to play on. It shall not be a permanently hard ………. (a) If either team has objections about the ground or the way it is marked out they must tell the referee before the match starts. (b) The referee will attempt to resolve the issues but must not start a match if any part of the ground is dangerous. Therefore, if the game is in doubt due to bad weather, in the first instant it remains the home club’s responsibility to decide if the game should go ahead. If the referee turns up and finds that for safety reasons he / she feel that the pitch is unplayable the club who requested the referee will still be charged the match fee. When a game is cancelled (including on the day for such things as for bad weather or late cancellation by the away team) you FIRSTLY IMMEDIATELY TELEPHONE THE REFEREE and then contact the appropriate appointments / re-appointments officer (Fraser Colley / Mike Spencer) who will amend the fixture on the Society database. The latter may be done via email / text within 24 hours of the kick off time. Failure to do so might result in your club being charged. Please note that if you do not advise the referee that the game has been cancelled and he/she travels, you will be charged a match fee irrespective of the game taking place or not. 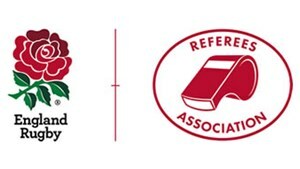 IF YOU ARE AWARE THAT YOU HAVE BEEN APPOINTED AN EXCHANGE REFEREE A DECISION SHOULD BE MADE THE NIGHT BEFORE OR IN PLENTY OF TIME TO ENSURE THE REFEREE DOES NOT TRAVEL. IT IS RECOMMENDED FOR ALL OTHER GAMES AT LEAST 3 HOURS BEFORE KICK OFF.